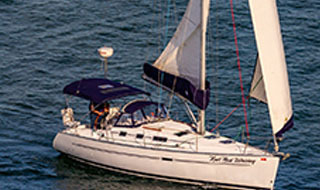 The sport of sailing has become increasingly popular as the vacation choice of many. Few activities can provide the challenges and rewards of an adventure under sail. American Sailing Association certifications are internationally recognized and ensure the student a proven curriculum in a professional, supportive learning environment under the direction of a certified instructor. ASA Sailing School options available to fit your individual needs. 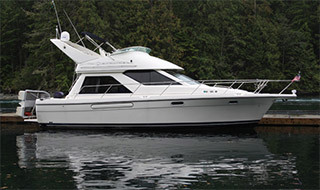 Anacortes Yacht Charters extensive fleet allows the benefit of the best boat choice for each course. 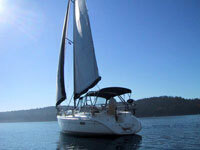 Our San Juan Islands are ideal for new boaters to develop their skills as they explore the areas' many anchorages. These sheltered waters offer a variety of conditions to further your confidence and enjoyment. 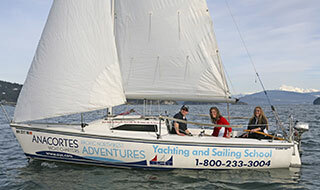 Anacortes Yacht Charters is offering those who attend our ASA Sailing School, an immediate membership in our Captain's Club. 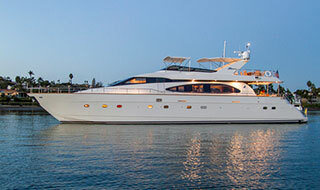 As a Captain's Club member you will gain special discounts on AYC charters as well as other great benefits. General Description: Able to sail a boat of about 20 feet in length in light to moderate winds and sea conditions in familiar waters without supervision. Prerequisite: None required. A preparatory Standard with no auxiliary power or navigation skills required. General Description: The course descriptions detailed above for ASA 101, 103 & 104 are combined into one 4 day course. Prerequisite: Not for the novice. Basic Keel Boat Certificate or equivalent is recommended, but not required. Certification for each section must be passed before testing for the next certificate. The experiences shared while boating are some of life's best. It has been said that time spent while cruising does not subtract from ones lifetime. Start adding days to your life, or at least life to your days! !